The NSQHS Standards digital web portal is designed to bring together learning resources such as eLearning and video into one easy to access platform for staff. Hosting a complete range of national web packages, users can navigate through a library of online content and gain a more in-depth and applied understanding of each of the 10 National Standards. The National Safety and Quality Health Service Standards were developed by the Australian Commission on Safety and Quality in Health Care (ACSQHC) in consultation and collaboration with jurisdictions, technical experts and a wide range of stakeholders, including health professionals and patients. 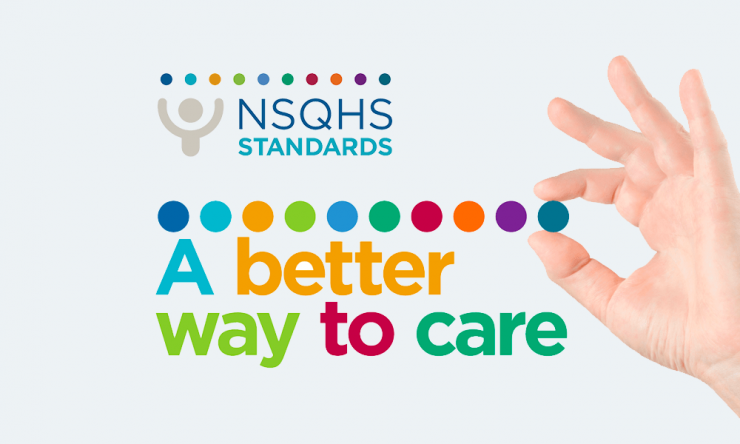 The primary aims of the NSQHS Standards are to protect the public from harm and to improve the quality of health service provision. They provide a quality assurance mechanism that tests whether relevant systems are in place to ensure minimum standards of safety and quality are met, and a quality improvement mechanism that allows health services to realise aspirational or developmental goals.